Immediately quite a few hands shot into the air. People were eager to share! When Gurumayi saw this, she asked Swami Ishwarananda, the host of the Evening Arati, to invite us all to take a few minutes to collect our thoughts and contemplate before sharing. As we reflected on love, what it means to us, what we wanted to say to others about love, something amazing happened. We started to connect with our love even more tangibly, even more consciously. Throughout the day this love had been so palpable, we could touch it. So vivid, we could picture it—twirling and pulsing in the atmosphere, like a sparkler guided by some divine hand. After we had contemplated for a few moments, Swami ji invited us to begin sharing. As this sevite spoke, there was a rumble of thunder outside. Rainfall danced on the roof of the Temple, as if in response to the shares. One of the apparent reasons that the satsang in the Temple had been continuing this long was the rain. As long as the rain was falling, the satsang was going on. And just when it seemed that the downpour was concluding and the satsang might also come to a conclusion, the rain started up again. Much to our delight, Gurumayi asked Lakshmi Wells, a longtime Siddha Yogi and a seasoned musician and music teacher, to sing Guru Om. In the 1990s, at Gurumayi’s request, Lakshmi composed the music for Guru Om in the devotional raga Bhairav. 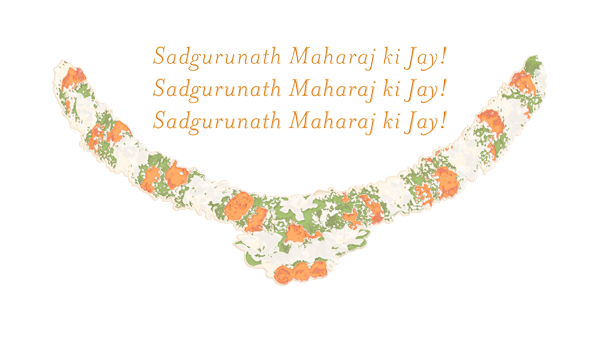 For many years, as per Gurumayi’s guidance, she would sing it at the beginning of the daily recitation of Shri Guru Gita in Gurudev Siddha Peeth. Most Siddha Yogis are familiar with Lakshmi’s golden voice. As she sang, the sweetness and power of her voice and musicality gave form to the love that had been welling up inside us throughout the Birthday Celebration. We felt that, through Lakshmi’s singing, we were offering the gift of our love to Gurumayi on her birthday. While Lakshmi’s voice was resonating throughout the Temple, expressing her love and devotion for the Guru, we arose and came forward for Bade Baba’s darshan, as is the tradition in Siddha Yoga satsang. As I approached Bade Baba, a wave of love swept over me. Tears filled my eyes. When I laid my head on the silver paduka, soft and fragrant with rose petals, I experienced the presence of divinity both in Bade Baba and within me, in the form of divine love. The last light of the sun was glimmering throughout the Temple as darshan came to a conclusion. A few sevites remained in the Temple to offer Temple seva. Gurumayi invited those of us in that group to form a crescent around Bade Baba and sing Gurudeva Hamara Pyara. Our Gurudeva is beloved to us! He is our life’s support. To be singing this prayer to Bade Baba, with our beloved Gurumayi, on her birthday, in the Temple, was icing on the cake. What a celebration day it had been! There'd been worship at dawn, grace and blessings at midday, worship at eventide. And throughout, there had been laughter—Gurumayi’s laughter, participants’ laughter, the heavens’ laughter, nature’s laughter. Why all this laughter? 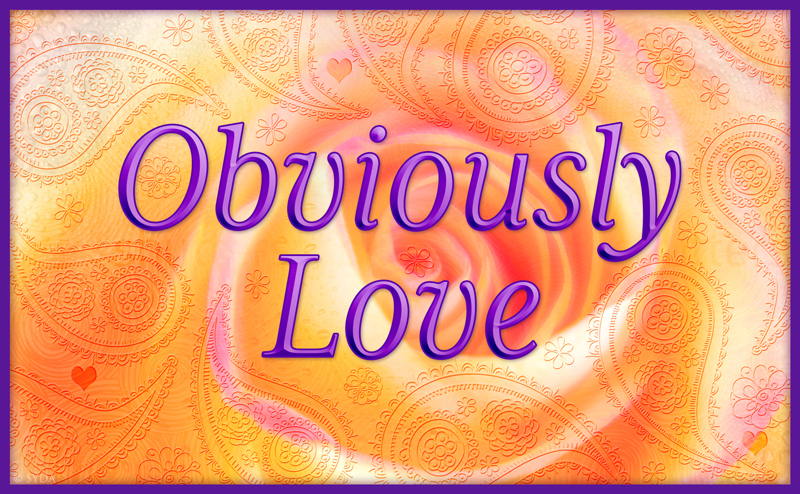 Obviously, LOVE. Gurumayi’s Birthday, June 24, 2018—whirling Consciousness, from sunrise to sunset—created an indelible imprint on our hearts. It was a demonstration of how working together leads to a glorious celebration of love. What a beautiful contemplation on "What is love?" Reading these sharings inspired love to arise within me now. I am reminded of the overwhelming feelings of love and awe that arose within me upon witnessing the scintillating, sparkling, radiant beauty of Bade Baba and his Temple. Thank you, Gurumayi, for awakening us to the depth of beauty and love in all places and things. I recently sat down to read the account of Gurumayi’s birthday. As I began with the early morning arati, I became still and focused, transported to that day. I read the complete account, living each moment, feeling the joy and laughter and awe. The love I felt for each participant, audience member, sevite, and our Guru was overwhelming. I am enjoying reading all the shares about love during the birthday celebration. Simply reading them is creating such an immense feeling of love and gratitude within me. Truly, love does multiply! As I go on throughout my day, I notice that if I keep connecting to this experience of love, everything flows smoothly and spontaneously. Thank you, Gurumayi, for reminding me of the power of love. I am eternally grateful to have your blessings in my life. Every day is Gurumayi’s birthday here in my heart. As my heart grows silent, I know this is Love! Reading this account made me realize how Gurumayi has turned her Birthday Celebration into a celebration of love in the hearts of all! By inviting everyone to share about love, Gurumayi has made me more aware of how her love manifests in my life again and again. I feel her blessings when the sun is shining and when the refreshing rains pour down on me, when things go smoothly—and when there are obstacles too, because this gives me a chance to practice trusting grace to help me through! And it does, again and again. Gurumayi’s love makes me stronger every day. It makes my heart sing and dance, with the pure joy of freedom! Jaya Gurumayi! As I read this beautiful account of the culmination of Gurumayi's Birthday Celebration Satsang, a whimsical image came into my mind. I offer it as a sweet anecdote in response to Gurumayi's question, "What is love?" As I was driving home last night and thinking about the challenging state of the world right now, I saw a bumper sticker on a car driving by me. It said: "Love works." Truly, God speaks to us and reaches us in many ways, wherever we are—even through the bumper sticker on a car! As I read the shares from participants in this evening celebration gathering in honor of Gurumayi’s birthday, I too asked myself this golden question, “What is love?” And I realized that love is everything. Every share is different and each one perfectly conveys an experience of love. My heart has become soft in reading this account. I feel no barrier between myself and the swaying plants I see outside my window, or the blue mountains in the distance. I am simply love. Surely this is a perfect culmination to a perfect celebration! Reading this experience of Gurumayi’s Birthday Celebration, I felt as if I had been in the Temple among the participants myself. What a blessing it is to have received this account! For me, Shree Muktananda Ashram is a place of great love, like an oasis where sevites can both serve the Guru and also immerse themselves in the Guru’s love. Reading this account of sevites gathering, chanting, sharing, and having Gurumayi’s darshan gave me great comfort and peace. I felt instantly connected to my beloved Guru in my heart. Thank you, Gurumayi, for your endless love, generosity, and compassion, and thank you for gracing the whole world with your amazing Birthday Celebration! When I came home from satsang today and read the account of the beautiful and unique expressions of love, I flashed back to our celebration of Bade Baba's Punyatithi this evening. We had bathed in Bade Baba’s compassion and light, and I was filled to the brim with his grace. I realized anew that my life is protected by the Guru's love, and I feel a sense of belonging to the divine that is everlasting and real. I forever bow to the Siddhas for this exceptional life. During the Celebration Satsang in honor of Gurumayi’s birthday at the local Siddha Yoga meditation center, I felt completely full of love. I couldn’t remember sensing Gurumayi’s presence so strongly in satsang before, and I marveled at the ever-astounding miracle of experiencing the Guru’s presence at a physical distance. I felt that I lacked absolutely nothing. And when I went for darshan at the end of the satsang, I was surprised to sense Bade Baba laughing with me in pure joy. Reading the account now, I appreciate with deep gratitude that all that was taking place at the Ashram was supporting my experience. And now I’ve had the privilege of fully celebrating Gurumayi’s birthday once again, of receiving her love and blessings again, and of learning so much about every nuance of this divine celebration. Thank you, dear Gurumayi, for giving yourself to us so fully. This account ushered me into my heart. I felt I was expanding and having satsang with Love itself. Gurumayi's comment, "Love made today's celebration possible," particularly caught my attention and steeped me in silence. While contemplating Gurumayi’s words, I felt encouraged to continue to move forward with both what I need and what I want to create in my life. I understood that love and grace will support my efforts and make my life a daily celebration. Reading this account triggered in me an inner exploration in search of an answer to the question, What is love? First I remembered that before receiving shaktipat, I had a quite romantic idea of love: longing for an extraordinary love like that featured in movies and novels. When I started walking the Siddha Yoga path, however, I realized that the greatest love isn’t born in a movie or novel, it is authored by God himself as he creates this beautiful world and all the wonderful beings in it. For me now, God’s love is the greatest love story. And I see how Gurumayi's love and teachings have taught me to love purposefully—to nurture my sadhana and expand the love within my heart. Thank you, Gurumayi, for teaching me that every day is made up of hundreds of little moments that are precious opportunities to love God's creation. I found Gurumayi's observation that "Love multiplies love" to be deeply moving. These three words summarize for me so much of the wondrous, transformative power that I have experienced in walking the Siddha Yoga path with Gurumayi as my Guru. As I have been bathed over the years in Gurumayi’s radiant love, I have become increasingly able not only to internalize that love, but also to radiate it out into my own social circles. My family, friends, students, colleagues, neighbors, and even brief acquaintances have richly benefited from this ripple effect. And every loving word or act I share with them enriches me as well, for it gives me, again and again, the undeniable, exalted experience of knowing that I too have become a "multiplier of love." The Guru's grace in bestowing this blessing on countless souls is unfathomable.